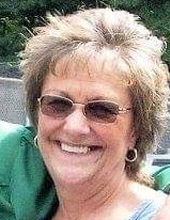 Hyde Park – Joanne Betty Andrews, 65, a longtime area resident formerly of the Bronx, died on March 16, 2019 at Vassar Brothers Medical Center in Poughkeepsie after a long, courageous battle with cancer. Born on July 16, 1953 in the Bronx, she was the daughter of the late Lawrence and Diane Karlbach Keating. Joanne worked for Shop Rite Supermarkets for forty-five years, most recently in Poughkeepsie. When not working, she loved to bowl and was in many local bowling leagues. Survivors include her daughter, Rachel Scheiner and husband, Mike, of Hyde Park; son, Raymond Lake and wife, Kristen, of Hyde Park; grandchildren: Joseph Lake, Michael Scheiner Jr., Christopher Scheiner, Brian Scheiner, Angelina Lake, and Stephen Lake; longtime companion, Thomas Tortarella and his family of Hyde Park; sister-in-law, Lynne Keating of Florida; and two nephews and one niece. In addition to her parents, she was predeceased by a sister, Suzanne Green; and brother, Lawrence Keating. Memorial calling hours will be from 3 to 7 Pm, Thursday, March 21st at Sweet’s Funeral Home, Inc., Rte. 9, Hyde Park. To plant a tree in memory of Joanne Betty Andrews, please visit our Tribute Store. In keeping with her wishes, cremation has taken place already. "Email Address" would like to share the life celebration of Joanne Betty Andrews. Click on the "link" to go to share a favorite memory or leave a condolence message for the family.